The young tenor Eric Fenell's considerable singer career highlights include a.o. RODOLFO at the New York City Opera, the Glimmerglass Opera, the National Theater Mannheim, the Edmonton Opera, and in Baz Luhrman's La Boheme on Broadway; the DUKE OF MANTUA at the German Opera Berlin and the Slovak National Theater; ALFREDO at the New York City Opera and the Slovak National Theater, TAMINO at the Sarasota Opera and the Wichita Opera; ROBERTO DEVEREUX at the Dallas Opera; ROMEO at the Schwerin State Theatre, the Slovakian National Theatre and the Opera North (USA); DON JOSE at the St. Margarethen Festival, the Lubeck Theatre and the Pacific Opera Victoria; CAMILLE DE ROSSILLON at the German Opera on Rhine (European debut); PINKERTON at the Austin Lyric Opera and the Lake George Opera; EDGARDO at the Des Moines Metro Opera and the Granite State Opera; RINUCCIO in "Gianni Scgicci" at the Macau International Music Festival (China); DES GRIEUX in "Manon Lescaut" at the Maria Biesu International Opera Festival; NADIR at the Madison Opera and GERALD in "Lakmé" at the Sarasota Opera and the Teatro Principal de Palma de Mallorca. Moreover, the artist also performed at the San Francisco Opera, the Boston Lyric Opera, the Seattle Opera, the Washington Concert Opera, the Tulsa Opera, the Chautauqua Opera, the Central City Opera, the Weimar National Theatre, the Salzburg Municipal Theatre, the Opera Festival in Tenerife, the Arena di Verona, theTeatro Petruzzelli di Bari, and the Spoleto Festival USA. Born into a musical family, his father, a conductor, and mother, a pianist, instilled in him a strong sense of musicality at an early age. Originally from Allentown, Pennsylvania, Eric Fennell now lives in Berlin, Germany. He received a BA in music from Gettysburg College and a Masters in Voice and Artist Diploma from Boston University, where he was a member of the Opera Institute. Mr. Fennell is a student of Arthur Levy and is mentored by internationally acclaimed tenor Gregory Kunde. Fennell's professional career began when he stepped in for an indisposed colleague as RODOLFO at the Glimmerglass Opera Festival. This lead to a contract with The New York City Opera where he sang six seasons and 13 roles. A Metropolitan Opera National Council regional finalist and prize winner in the Licia Albanese Competition, he is also very much in demand as a concert soloist. He regularly performs at the Avery Fisher Hall, the Carnegie Hall and the Arena di Verona. Besides, he sang in Washington D.C., Tokyo, Palma de Mallorca, Potsdam and Cairo. Eric Fenell started the season 2013-2014 with his succesful debut as RICCARDO in "Un ballo in maschera" at the Pforzheim Theatre. 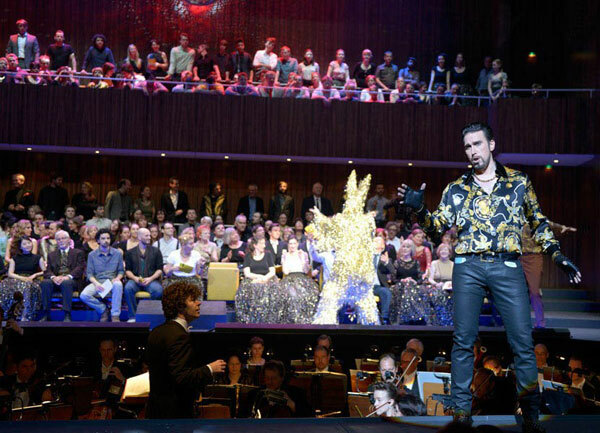 In March 2014 he had his role debut as HOFFMANN in "Les Contes d'Hoffmann". In 2014-2015 he returned to the USA als PINKERTON. In February 2015 the young singer sang in the world premiere of John Adam's production ' A Flowering Tree'at the Gothenburg Opera House. 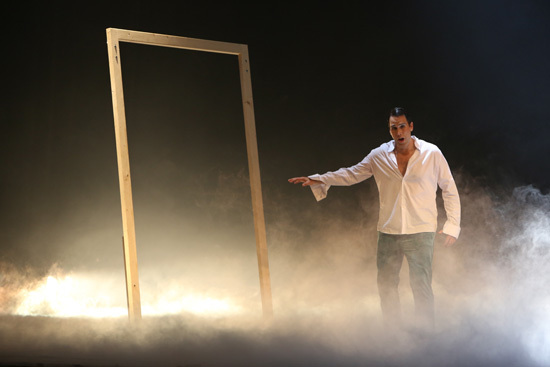 This season's highlight was his portrayal of ROBERTO in 'Le Villi' at the Lavinan National Opera in Riga. In 2016 he made his debut as DON CARLO at the Vilnius National Opera and in 2017 he is WERTHER at the Braunschweig State Theatre and HOFFMANN in Hawai. "Eric fenell sings with a smooth tenor voice. " "Among the singers, Eric Fennell in the title role gave reason for particular enthusiasm. This tenor, who can claim Hoffmann as his best role to date, has made tremendous progress. As opposed to many other singers, who have trouble with the long open vowels of the French language, he does not only cope extremely well with the requirements of French diction, but the language has a downright positive impact on his voice, which sounded particularly full-bodied on opening night. Fennell sang powerfully, with great differentiation and emotional involvement throughout. The acclaim that he garnered at the end of the performance was fully justified. " 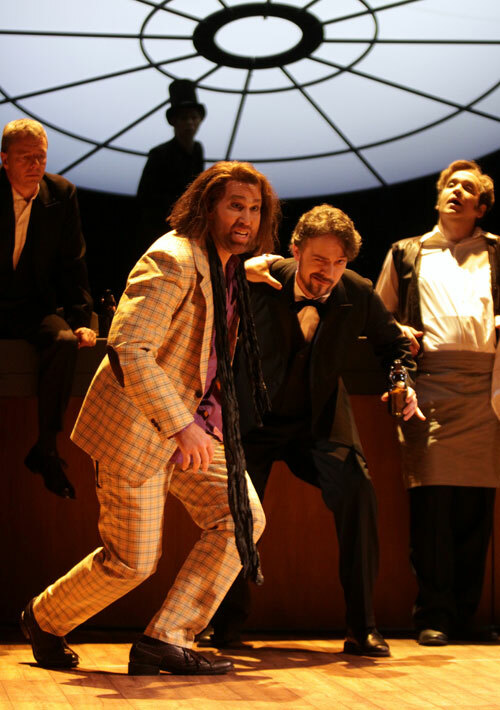 "Eric Fennell proved himself an excellent tenor in this role. He knows how to do justice to all its vocal nuances in a riveting way. He moves with ease from the narrative and detached to the passionate, intimate and heartfelt. " 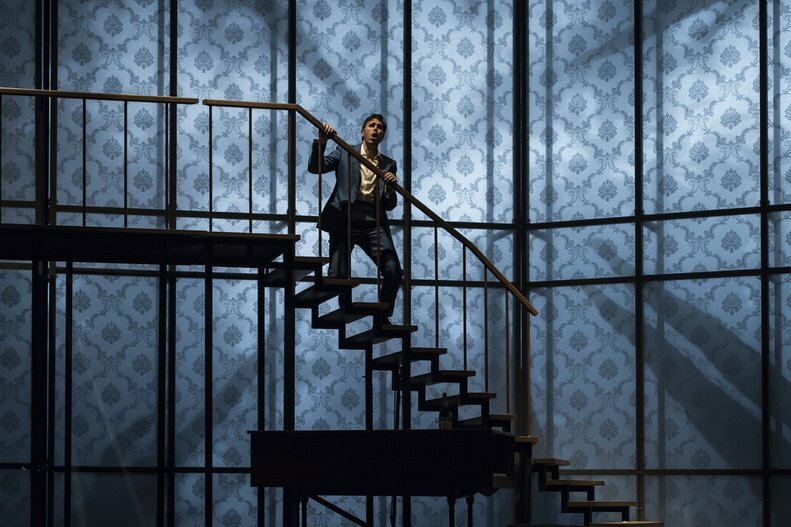 "Eric Fennell sings Hoffmann with an even, supple tenor who loses nothing at all of its quality and substance even in the challenging passaggio writing that prevails in this role. " "Eric Fennell, dressed in velvet, sings Dorian's seductive vocal lines with a honeyed tenor voice." "Tall and slender and with a blazing smile, Eric Fennell is an ideal choice for the ruler and lover. He sings the role with an attractive tenor voice, shaping the embellishments with such elegance as to make many a Rossini specialist envious and a smooth timbre that never loses quality throughout the whole range - Fennell dominates the show." "Eric Fennell deserves first mention. He sang a first class Riccardo. His convincingly acted portrayal was consistently enhanced by a vocally engaging performance. He has a gorgeous Italianate tenor voice that he handles with elegance to convey the emotions of the role. It's an impressively powerful voice that also has the ease in handling the numerous embellishments. If he handles his precious vocal material carefully, Fennell will have a great career. " "Eric Fennell asserted himself as a carefree heartbreaker. An elegant, lean tenor voice..."
"Eric Fennell's acting is appropriately macho, and he wears both his tight leather pants and later a pink suit with style. His tenore di grazia is secure and shapes the musical line with elegance; high-lying passages and top notes do not present any problems for him." "Eric Fennell jumped in as the Duke of Mantova. 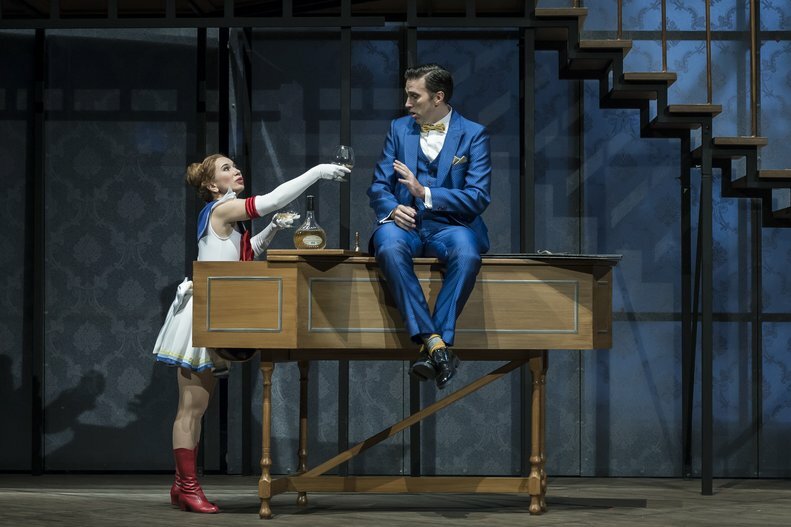 The young, racy American credibly embodies the character's volatility, his tenor is easy and responsive, and he delivers a "La donna e mobile" -- the hit of the opera -- full of passion." "Eric Fennell's Duke was sung very beautifully..."
"Greatest praise, however, is reserved for Eric Fennell in the title role. He brings Tony Caruso to life. Fennell's charismatic interpretation puts us directly in contact with Tony's soul. One winces at Tony's painful expressions of failure, one feels sorrow over 'what might have been' in his heroic duets with the ghosts. Fennell's characterization lingers on in the listener's memory." 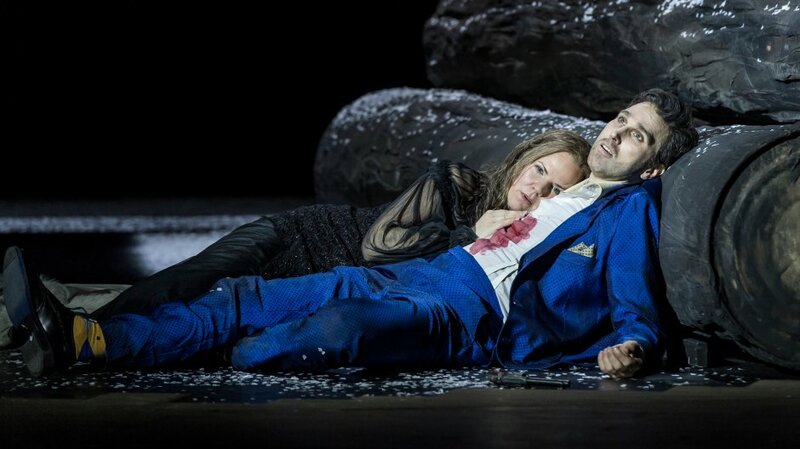 "Tenor Eric Fennell is sympathetic and ardent as Don José...He impresses most where the most is demanded of him (the long Act 2 duet with Carmen, for instance, and the final scene)." "Tenor Eric Fennell's Don José delivered the goods vocally..."
"... Annett Fritch's whispering soubrette Valencienne and the comic tenor Eric Fennell (Rosillon) made an intimate couple." "Annett Fritsch (Valencienne) created a charming contrast to the sentimental "talking-pictures" style tenor of Eric Fennell." "...powerful high singing [of] Eric Fennell as Rosillon..."
"Pinkerton (Eric Fennell) not only succeeded brilliantly as the well-meaning but thoughtless American, but actually looked every inch the handsome young Navy officer that stole Cio-Cio San's heart. It didn't take any effort to believe that this was a couple that belonged together forever. Their voices matched as well. His tenor could only be described as full, with a richness that was a joy to behold. "